#SuperOT Assemble – The OT Show 2016 is nearly here! This year’s occupational therapy show is going to be the best one yet! We have so many fun things lined up for you to watch, listen to and get involved with throughout the 2 day event in Birmingham. For 2016’s show, we have collaborated with the Alzheimer’s Society and Dementia Friends to help raise money, awareness and to encourage OT’s to become a Dementia Friend. 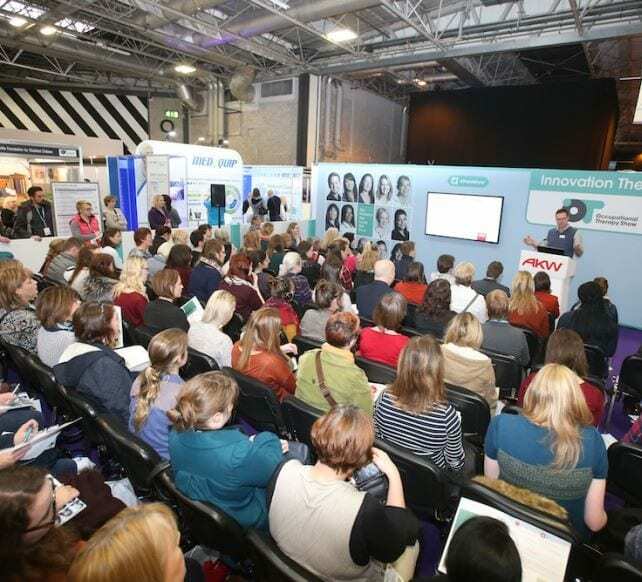 As well as this, we have once again teamed up with highly respected OT Adam Ferry to deliver another unmissable education session… but this year, we have been upgraded to the Keynote Theatre due to the popularity of our previous sessions. This year, there will be even more goodies for you to get your hands on when you come to our stand and of course our famous SuperOT t-shirts… however there is one more surprise! As we mentioned above, we have partnered with the Alzheimer’s Society and Dementia Friends. This was in an effort to introduce #SuperOT Charity Wristbands. These will be available (in exchange for a small donation) on the door when you enter the show, on the AKW Stand and from the Dementia Friends stand. There will also be members of the Alzheimer’s Society team around the show who will also be able to help you get your hands on a wristband. 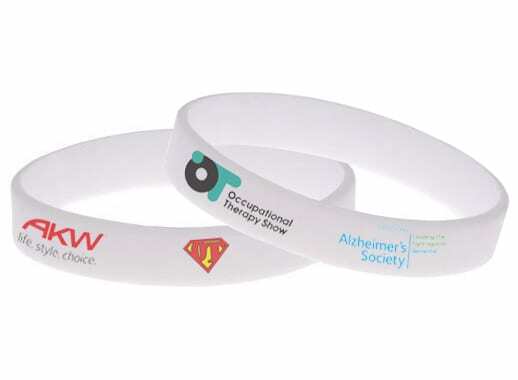 100% of money raised by these wristbands will be going straight to the Alzheimer’s Society and Dementia Friends; adding a charitable twist to this year’s OT Show. Numbers of the wristbands are limited, so make sure you get yours early! As you all know, this show is all about supporting and educating people all over the country who are involved with occupational therapy, and by teaming with such great organisations to produce these wristbands is the perfect way to spread the word and raise awareness about the Dementia Friends initiative (which you can read more about here). Those of you who attended the OT Show last year will remember Occupational Therapist Adam Ferry’s Dementia Friendly Bathrooms presentation. Well, Adam will be delivering another brilliant session which has this year been moved to the Keynote Theatre due to the fact that last year… we simply couldn’t fit enough of you in the Innovation Theatre we were in! As the official Education Partners of the show, we’ve got a new session for you this year – called “Visual Impairment & The Home Environment: Supporting Occupational Performance” and is all about increasing awareness of environmental factors and their potential impact on vision. This includes considering how subtle changes in the environment (lighting, colour and environmental control) can support occupational performance, and how environmental interventions may differ across a range of conditions. As well as this, Adam Ferry will explore areas of increased risk and how these risks can be reasonably minimised. This year, we are on back on stand E50 – but this time we are bigger and better! So we will be waiting for all of you #SuperOT’s to come and take a look at our ground-breaking AKW SmartCare Plus Electric Shower, a dementia-friendly bathroom and our super stylish accessible kitchen. But that’s not all! The Super OT Selfie Station is BACK (see last years gallery here) and we also have some exciting, new surprises on our stand, as well as lots of other fun and games. Did you make the red carpet? A few weeks ago, we launched a competition where you could be on the red carpet at the OT show (literally). 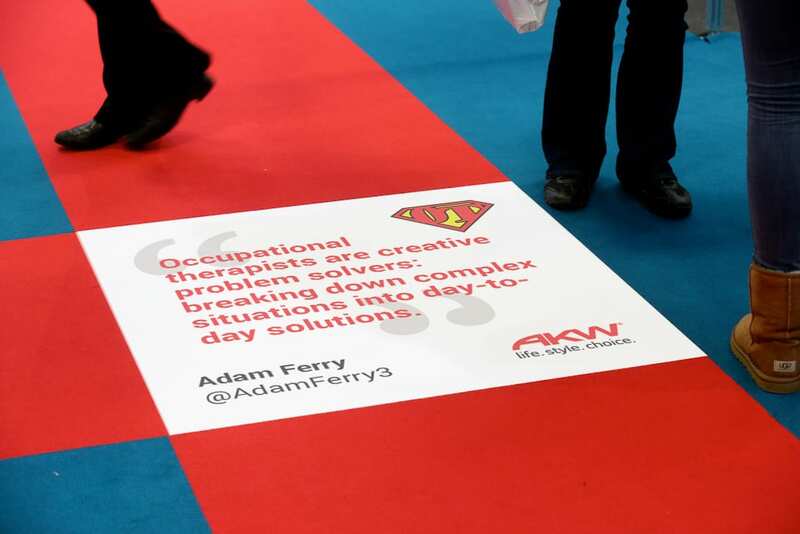 During the show, we will be revealing our brand-new OT floor tiles on the Red Carpet like the Hollywood walk of fame with all of the winners’ favourite OT quotes to be shown off in style! Make sure if you made the red carpet, you tweet a picture of you with your tile during the show or if you didn’t happen to be picked this time, feel free to snap and share you favourite quote on Twitter or Facebook! So why not join the UK’s largest, free-to-attend, OT dedicated event? If you’re coming, be sure to Tweet us at @AKWCares and hashtag #SuperOT to share your thoughts and pictures from the event. See you there!